To provide students who have dropped out of school or are likely to drop out with a non-traditional learning environment in which they are able to earn a high school diploma and be prepared for postsecondary success. 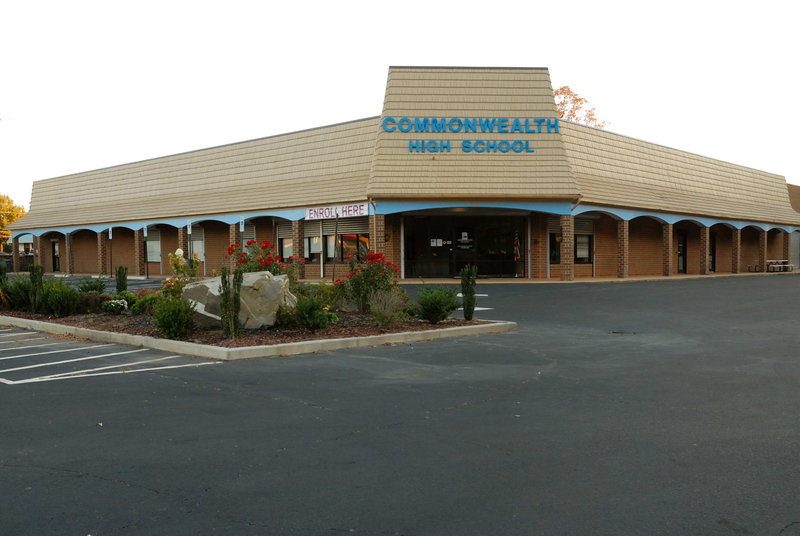 Commonwealth is a tuition-free public high school serving students ages 16 to 21 who prefer a non-traditional learning environment with flexible scheduling options. We give students the choice to enroll in the four-hour session that best fits their personal schedule.